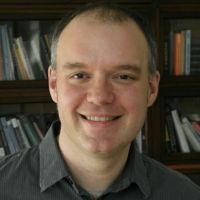 Matt Goldrick is Associate Professor of Linguistics at Northwestern University, where he is affiliated with the Cognitive Science and Interdisciplinary Neuroscience Programs. His research--utilizing behavioral experiments as well as computational and mathematical modeling--focuses on theories of the cognitive and neural mechanisms underlying linguistic knowledge and processing in mono- and multilingual speakers. Prior to joining the faculty at Northwestern, Goldrick was a postdoctoral fellow in the Department of Cognitive and Linguistic Sciences at Brown University. He holds a BA, MA and PhD in Cognitive Science from the Johns Hopkins University.